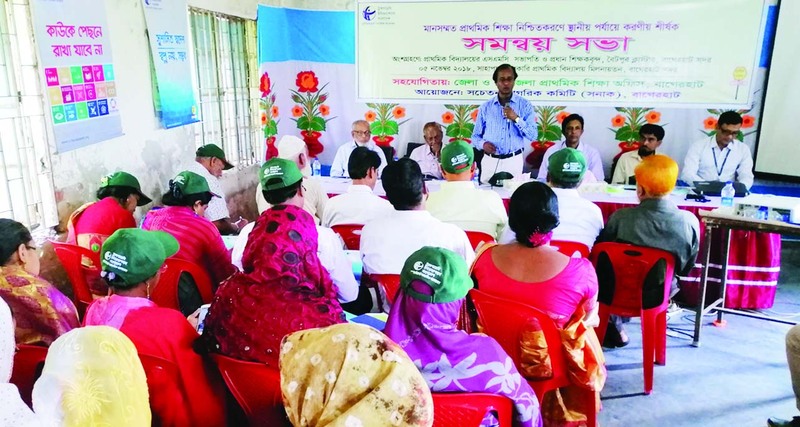 BAGERHAT: Ashok Kumar Samaddar, District Primary Education Officer, Bagerhat speaking as Chief Guest at a coordination meeting at Sahapara Govt. Primary School Auditorium on Monday. 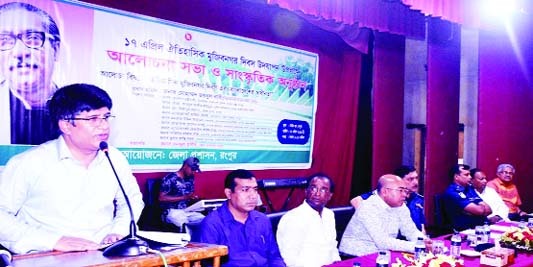 RANGPUR: Muhammad Joynul Bari, Divisional Commissioner addressing a discussion meeting organised by District Administration at Town Hall to celebrate the historic Mujibnagar Day as Chief Guest on Wednesday. 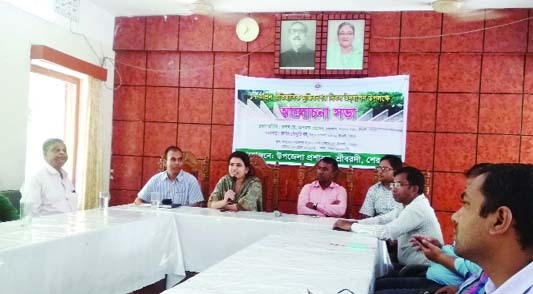 SREEBARDI(Sherpur): Sajute Dhar, UNO, Sreebardi speaking at a discussion meeting on the occasion of the Mujibnagar Day as Chief Guest on Wednesday. 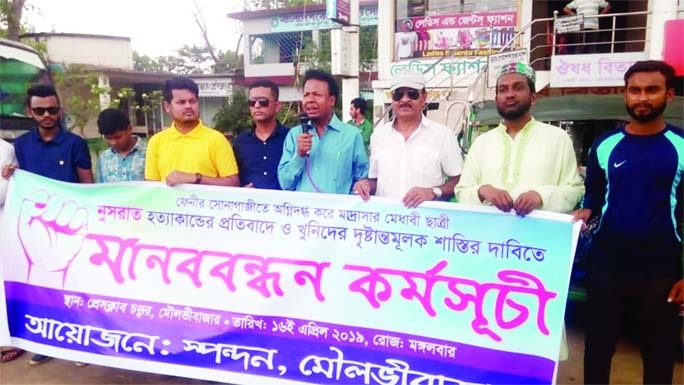 BOGURA: Fishermen at Nepaltoli Union formed a human chain demanding leasing of Kakra Canal to genuine fishermen organised by Nijkakra Motsyojibi Samobay Samity on Wednesday. 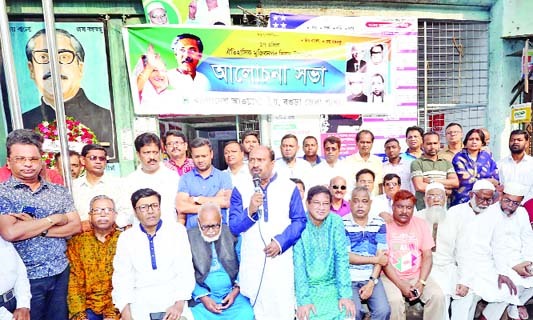 MOULVIBAZAR: A human chain was formed in front of Moulvibazar Press Club on Tuesday condemning killing of madrasa student of Sonagazi Nusrat Jahan Rafi organised by Sapondon, a social organisation. 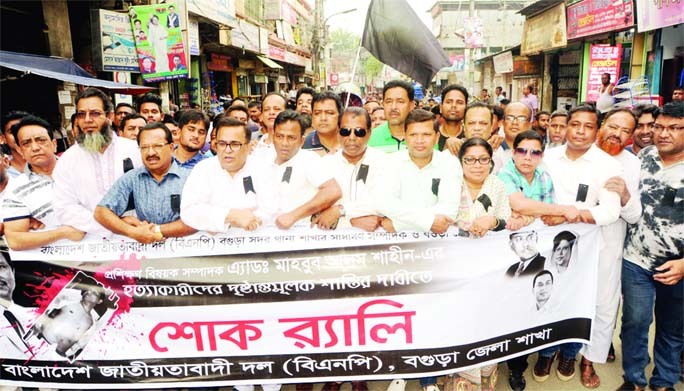 BOGURA: BNP, Bogura District Unit brought out a mourning rally protesting killing of local leader Adv Mahbub Alam Shaheen on Tuesday. 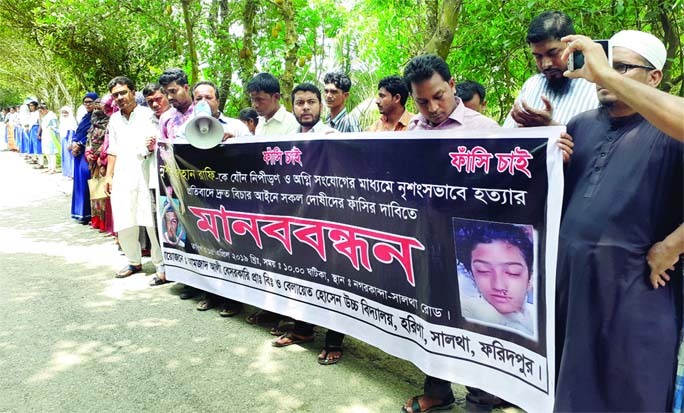 FARIDPUR: Students staff and teachers of Amzad Ali Non- Govt Primary School and Balayet Hossain High School in Faridpur formed a human chain on Monday protesting brutal killing of Nusraf Jahan Rafi, a madrasa student of Sonagazi in Feni recently.